List of facts on Taxotere. Hundreds of thousands of women are diagnosed with breast cancer every year in the United States. A majority of those women will undergo chemotherapy to treat their cancer, accepting a well-known and common side effect of this treatment: temporary hair loss. What many women did not know was that the temporary hair loss they were experiencing was not so temporary. The Food and Drug Administration (FDA) is now warning the most widely prescribed drug to treat breast cancer, Taxotere, can cause permanent hair loss in some patients. Many women speaking out against the drug say they would not have taken it had they known there was a risk of permanent hair loss. Taxotere is the brand name of a chemotherapy drug used to treat certain cancers. The main ingredient in Taxotere is docetaxel. Taxotere belongs to a class of chemotherapy drugs called taxanes. Taxotere, like other taxanes, are plant alkaloids derived from the bark of yew trees. Taxotere is also an anti-microtubule agent, which blocks cancer cells from dividing and eventually leads to cell death. Taxotere is indicated for the treatment of certain cancers. The chemotherapy drug is widely used to treat breast cancer, but is also approved to treat non-small cell lung cancer, advanced stomach cancer, head and neck cancer and metastatic prostate cancer. The drug is also being tested for other uses, including in the treatment of small cell lung cancer, ovarian cancer, bladder cancer, and pancreatic cancer, as well as soft tissue sarcoma and melanoma. Taxotere treats cancer by interfering with cell division. The main ingredient in Taxotere, docetaxel, binds to a certain part of the cancer cell called microtubules. All cells in the body contain microtubules; they are responsible for many important cell functions, including division. Cell division is an essential part of any organism’s survival. In multicellular organisms, like humans, cells divide to facilitate growth and to replace old or dying cells. Without cell division, a person would never develop from a single-cell zygote in the womb to an infant, to a child and eventually to an adult. But when a cell turns cancerous, cell division becomes a detriment. Cancer cells divide at exponential rates and each new cell retains the mutation from the first cancerous cell. Taxotere binds to the microtubules in cancer cells, prevents those microtubules from doing their job within the cells which prevents the cells from dividing. This leads to a buildup of microtubules in the cancer cell, which then leads to the death of the cell, a process known as apoptosis. When was Taxotere approved by the FDA? The Food and Drug Administration (FDA) approved Taxotere roughly 20 years ago in May 1996. Taxotere was originally approved to treat certain types of breast cancer. Its use was later expanded to include treatment of certain lung, stomach, prostate and head and neck cancers. Taxotere is manufactured by French pharmaceutical company Sanofi-Aventis. The company’s American division, Sanofi US, is headquartered in Bridgewater, NJ and employs 17,000 people throughout the country. Taxotere is only available as an intravenous (IV) injection. Taxotere is administered in either 20mg/mL or 80mg/4mL single vial doses. The drug’s label indicates Taxotere should be administered over a one-hour period every three weeks, though some research suggests Taxotere is most effective when administered in weekly doses. All patients are advised to pre-medicate with oral corticosteroids before undergoing treatment with Taxotere. How much does Taxotere cost? All cancer treatments are generally very costly, and Taxotere is no exception. According to a 2004 comparison published in Nature Reviews Drug Discovery, one cycle of treatment with Taxotere carried a price of about $1,664. Insurance may cover the cost of treatment, and only for the types of cancers the drug is FDA-approved to treat. Are there generic versions of Taxotere? Yes. Generic versions of the drug were approved by the FDA in 2011. Generics are sold as docetaxel through several different pharmaceutical companies, including Accord Healthcare, Actavis Inc, Teva Pharmaceuticals USA and Dr. Reddy’s Laboratories Ltd.
What are the most common adverse reactions and side effects associated with Taxotere? What is alopecia and how is it associated with Taxotere? Alopecia is a possible side effect reported by a number of women who were treated with Taxotere for breast cancer. Alopecia is a type of hair loss that occurs when the immune system attacks hair follicles, resulting in hair loss. Alopecia is usually not permanent; about 10 percent of people with the condition may never re-grow hair. Hair loss is often associated with chemotherapy. However, the hair usually grows back once treatment has stopped. Women who suffer from permanent alopecia after treatment with Taxotere may never re-grow their hair. Some women report the loss of their eyebrows and eyelashes, too. The makers of Taxotere estimate alopecia occurs in about three percent of patients, but some studies suggest that number is higher. A study conducted by the Rocky Mountain Cancer Center in Colorado suggested about 6.3 percent of patients experienced alopecia when Taxotere was used in combination with other cancer-fighting drugs. A survey conducted by the Clatterbridge Cancer Centre in the UK found 15.8 percent of respondents reported experiencing alopecia after using the generic version of Taxotere, docetaxel. In December 2015, the FDA issued a warning about the possible risk of alopecia when undergoing treatment with Taxotere and its generic docetaxel. The FDA issued the warning in response to numerous adverse event reports submitted to the agency by patients and doctors. Will my hair grow back after I stop treatment with Taxotere? The majority of women will re-grow their hair after chemotherapy with Taxotere. On average, women who undergo chemotherapy with any drug will experience hair re-growth within a few weeks to a few months after ending treatment. There is a percentage of women who may never re-grow their hair after treatment with Taxotere. The makers of the drug estimate permanent hair loss occurs in about three percent of patients. Some studies estimate this percentage is much greater and could be anywhere from six percent to almost 16 percent. Has the FDA issued any warnings about Taxotere? The FDA has issued several warnings regarding Taxotere since the drug was approved 20 years ago. Taxotere carries a “black box” warning, the FDA’s strongest warning about a drug or medical device. Black box warnings indicate there is a serious risk of hazard or even death associated with the product. What other chemotherapy drugs are used to treat breast cancer? Taxotere is not the only chemotherapy drug on the market used to treat breast cancer. Both Taxol (paclitaxel) and Taxotere are in the same taxane drug class. Both are derived from the yew tree. How often is Taxotere prescribed? About 1 in 8 women (about 12 percent) will develop invasive breast cancer in her lifetime. In 2016, it is estimated over 246,000 new cases of invasive breast cancer will be diagnosed, including an additional 61,000 new cases of non-invasive breast cancer, according to the American Cancer Society. Taxotere is the most widely prescribed drug in its class to treat breast cancer. Up to 75 percent of breast cancer patients in the United States use Taxotere during their treatment. Are there any lawsuits against the makers of Taxotere? Yes. 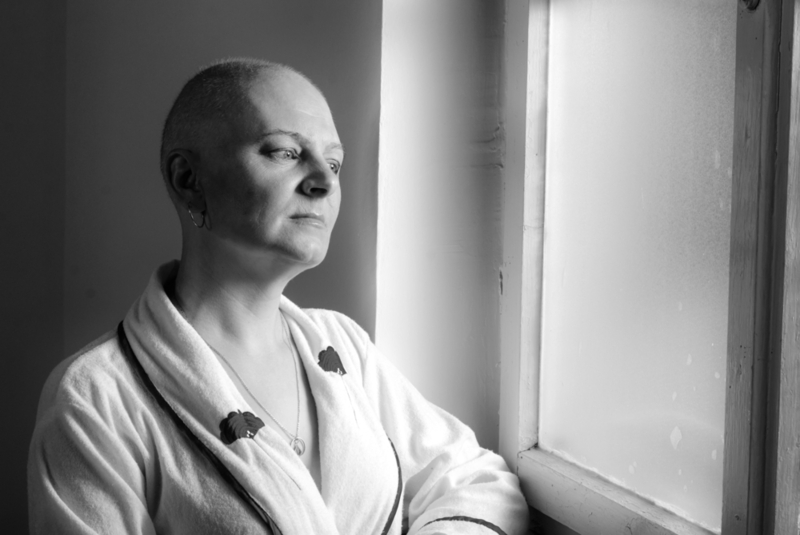 Breast cancer survivors have begun filing lawsuits against Sanofi-Aventis alleging the company hid potential side effects, including permanent alopecia, and misrepresented the drug’s benefits. The lawsuits have not been consolidated into a class action or multidistrict litigation at this time. Have any settlements been made? As of May 2016, no settlements have been made in any of the Taxotere lawsuits. I suffered permanent hair loss after undergoing treatment with Taxotere, can I file a lawsuit? The experienced lawyers and attorneys at Hood National Law Group are ready to hear your story and help you file a claim if you qualify. If you underwent chemotherapy treatment with Taxotere and suffered permanent hair loss as a result, you may be entitled to compensation. Call Hood National Law Group today at 1-800-214-1010 for a free case evaluation. You can also use the form on the right-hand side of the screen. Facts on taxotere page updated on January 17, 2018.